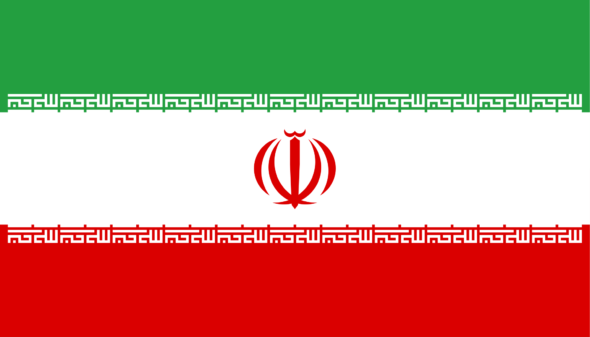 Signed with Iran pre-revolution under the rule of the close US ally Shah Mohammad Reza Pahlavi, the 1955 treaty was part of a larger US effort to gather allies against the Soviet Union in the early days of the Cold War. The treaty affirmed a bond of friendship between the two nations, granted legal protection to diplomats, and greatly expanded trade by granting massive concessions to foreign businesses. However, the 1979 revolution ushered in the Islamist theocratic rule of Ayatollah Ruhollah Khomeini and, angered by the close US relationship to the Shah, US-Iranian relations regressed significantly. Tensions peaked after the takeover of the US embassy and Khomeini’s subsequent refusal to release seized American hostages seized for 444 days. Tensions have continued to remain high since Khomeini’s death in 1989. In the contemporary day, Iran’s pursuit of nuclear weapons, it’s belligerence in both rhetoric and action towards Israel, and it’s material and financial support for terrorist groups such as Hamas and Hezbollah, all inform the US to view Iran as a destabilizing influence in the Middle East. Further motivating factors for US actions could be the recent attacks on US consular facilities in Iraq. Rocket attacks near the US consulate in Basra in southern Iraq, and a mortar attack near the US embassy in Baghdad have forced the evacuation of diplomats and consular officials. Secretary Pompeo announced the US had verifiable intelligence that the attacks were perpetrated by Iranian-backed Shiite militia groups, specifically the Islamic Revolutionary Quds Force led by Qassem Suleimani: “Our intelligence in this regard is solid. We can see the hand of the ayatollah and his henchmen supporting these attacks on the United States”. Any relief or negotiation of economic sanctions must be predicated by significant Iranian political reforms. Iran’s ongoing behavior is a threat not just to the United States, but to the Middle East as a whole. If any progress is to be made regarding the lifting sanctions and bringing Iran into the international economic community, Iran must first demonstrate its willingness to contribute to regional stability in the Middle East. 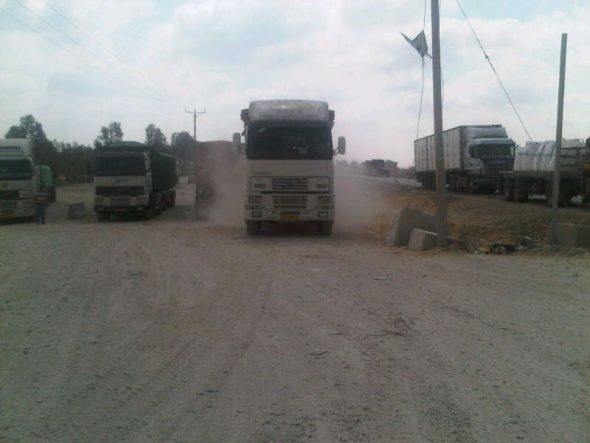 Israel’s Defense Ministry recently announced that it was suspending fuel deliveries to the Gaza Strip through the Kerem Shalom border crossing. The shutdown will only last until Sunday, and Israeli officials stressed that the delivery of food and medical supplies would not be affected. Israel will further reduce Gaza’s fishing area off the coast from six miles to three as a means of putting additional constraint on Hamas. The new measures are a result of a series of arson attacks launched by Hamas into Israeli territory. Since the latest wave of Hamas-backed protests began on March 30th, operatives have adopted a new tactic of sending incendiary kites and balloons into Israeli territory. This rudimentary strategy involves attaching burning coal embers or even explosive devices to kites to attack Israeli Defense Forces (IDF) and set agricultural fields on fire. Officials estimate close to 2,500 acres of forest and farmland have been burned. Hamas is also seeking ways to expand this campaign; the group is planning to mount explosives to unmanned aerial drones with Iranian support. On Monday, workers from Israel’s Nature and Parks Authority discovered a dead falcon hanging from a tree attached to incendiary material. The falcon wore a harness, leading Israeli officials to conclude that it was sent intentionally to cause a fire. After Hamas fired 200 rockets into Israel on Saturday, the IDF conducted strikes on several tunnels, a training facility, and other significant terror sites in Gaza. The next day, the United Nations and Egypt brokered a ceasefire in which Israel asked Hamas to cease all aforementioned terror activities. Hamas agreed to a gradual ceasefire but will continue launching fire kites despite “begging” Israel to end the counter strikes. Hamas leadership is reportedly afraid that Palestinians would view the complete cessation of terror activities as surrender to Israel. Hamas and its supporters justify these attacks because of what they consider Israel’s oppression of Palestinians and illegal occupation of Palestinian territory. Hamas said in a statement that it considers the IDF’s actions against Gaza a crime against humanity that warrants dangerous repercussions against Israel. However, Israel enacts these measures to provide security for IDF personnel. Hamas has a long history of using the Kerem Shalom border crossing to export explosives into Israel. Earlier this year, Israel intercepted deadly chemicals hidden among boxes of medical supplies. These events are further evidence that Hamas has devoted far more capital into destroying Israel than in building Gaza. Escalating attacks have prompted the IDF to respond more aggressively. The Israelis use their own drones to intercept incendiary materials and border guards have had to resort to targeting kite flyers by shooting near them. Israel has also conducted airstrikes on drone storage facilities and Hamas-linked individuals with drone-making expertise. Kerem Shalom has been shut down by Israel several times before. Palestinians have targeted goods being shipped across the border numerous times and have even conducted attacks directly on the crossing. Among the goods that were targeted were gas and building supplies, exacerbating the humanitarian crisis they blame on Israel. On the “America, Can We Talk” program with Debbie Georgatos, the Center’s Vice President for Research & Analysis Clare Lopez discussed issues including a Hamas terror attack prevented by Israel, the constant threat of missiles launched at the Jewish state, and the protests taking place in Iran. On Sunday June 17th, the Shin Bet (Israel Security Agency) released a statement saying that Israeli forces arrested twenty members of Hamas in the West Bank city of Nablus. The cell planned to carry out attacks in multiple cities. Most of the operatives arrested were Hamas associates, some with previous terror ties. The cell was led by Mu’tazem Muhammad Salem and Faras Kamel Zavidi, both from Nablus. Salem and Zavidi are both charged with building explosive charges as well as planning attacks. Possible bombing targets included sites in Tel Aviv, Itamar, and Jerusalem, along with shooting attacks in the West Bank. The Israeli Defense Forces (IDF) found several home-made explosives including a twenty pound bomb with a cell phone trigger. Thirty pounds of explosive materials were also discovered along with raw materials for the production of explosives, weapons. The Israeli Defense Force (IDF) detonated the materials in a controlled explosion. 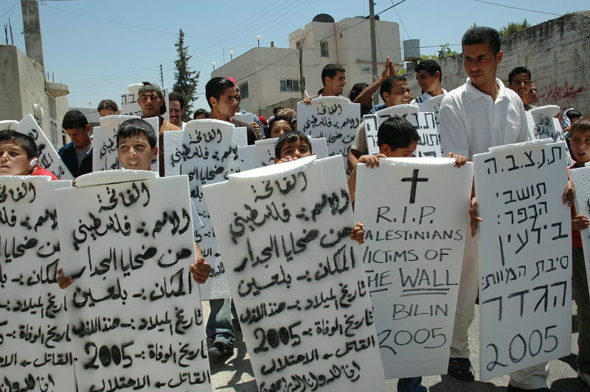 Nablus is considered a central hotbed of terrorism in the West Bank during the Second Intifada from 2000-2005. The Second Intifada caused the death of around 1,000 Israelis and injured thousands more. Shin Bet officials say the leader of the cell received $100,000 dollars from an operative of Al Qaeda’s Syrian affiliate Al Nusra Front to conduct major terror attacks against Israeli cities. Shin Bet said that Hamas’ efforts to establish terrorist infrastructure in Samaria undermines the calm within Israel. 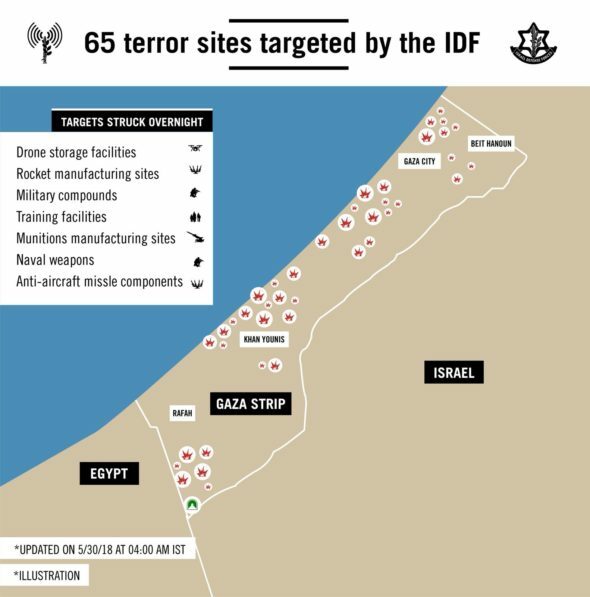 Hamas is taking every opportunity to attack Israel that it can, from both Gaza and sites within Israel. Since September, 2015 there has been an increase in the number of Hamas attacks thwarted by security forces including attempts to take Israelis hostage to seek the release of jailed Palestinian terrorists. Hamas seeks to expand its capabilities in the West Bank. In December 2017, the head of Shin Bet said Hamas was positioned to take over the West Bank due to the weakness of Palestinian Authority President Mahmoud Abbas. Al Qaeda and Hamas have a long history of cooperation, including financial ties dating back to at least January of 2003, when German police arrested Hamas operative Mohammed Al Hassan Al-Moayad on charges from the FBI of providing financial support to both Al- Qaeda and Hamas. He has provided over $20 million dollars to Osama bin Laden and other Al-Qaeda and Hamas leaders. The arrest of the Hamas terrorist cell shows that Hamas remains capable of carrying out serious multi-target attacks from within the West Bank. Hamas is a well-organized terrorist organization and has the resources to carry out attacks against Israel; including leveraging relationships with other international jihadist groups such as Al Qaeda. Israeli authorities must remain vigilant for more of these cells planning attacks in the future and work with allies, including the United States, to combat terror finance and international cooperation between terror groups. Lost among the coverage of the ongoing Hamas-organized protests at Gaza’s border with Israel have been significant protests against Palestinian Authority (PA) leader Mahmoud Abbas. The latest protests began on Sunday, June 10th, in the de facto administrative capital of the Palestinian Authority, Ramallah in the West Bank. Protestors blame Abbas and other PA officials for hardships faced by Gaza residents after a year of PA sanctions on the Hamas-controlled Gaza Strip. The protests in the West Bank are meant to express solidarity with the cause of their fellow Palestinians in Gaza. Last year, Abbas introduced a series of sanctions on Gaza to pressure Hamas into relinquishing control of Gaza to the Palestinian Authority. As part of the sanctions, Abbas drastically cut salaries, forced thousands of civil workers into retirement, cut medical and social services, and reduced foreign aid imports into Gaza. He also raised taxes on fuel and stopped paying bills for Israel’s electricity supply into Gaza. The demonstration on Sunday was supported by at least 1,500 Palestinians, who travelled from the West Bank, Jerusalem, and Haifa to attend the protest. The protestors’ main demand was for Abbas to lift all sanctions on Hamas in Gaza, but additional demands revealed discontent with international peace negotiations and PA authority, particularly Abbas. Some among the crowd called for Abbas to step down, while others called for Gaza and the West Bank to form a united Palestinian front against Israel. Protesters held signs and chanted slogans accusing the PA of coordinating with Israeli security forces in the “occupation.” They were organized by far-left activists associated with the Democratic Front for the Liberation of Palestine and Popular Front for the Liberation of Palestine. Hamas’ electoral victories in 2006 marked the beginning of the divisive and occasionally bloody rivalry between Hamas and the Fatah party to lead the PA. Hamas, a known terror group, wrested control from the Fatah party, then continued launching missiles and attacks on the Israeli forces and towns. Since then, the Gaza Strip has been the site of Israeli counter terror operations and internal violence among Hamas supporters. Both Israel and Egypt implement blockades to protect their borders from Hamas’ operatives, except Israel routinely provides Gaza with food, fuel and electricity. In October of 2017, Hamas and Fatah signed a reconciliation agreement, but concrete steps have yet to be taken to actually implement the agreement. The deal was meant to allow Palestinian Authority forces to regain control of Gaza and Hamas’ weapons supply. Although Hamas desires to restore national Palestinian unity, the group refuses to concede its weapons and curtail attacks against Israel. The protests on Sunday exposed the fragility of this agreement, as PA officials blamed Hamas and Israel for Gaza’s problems and Hamas blamed sanctions enforced by the PA. After the second round of protests on Tuesday, PA authorities banned protests in Palestinian territories, at least until after the end of Ramadan celebrations, which begin on Friday. Despite the ban, protestors demonstrated again on Wednesday, this time resulting in violence and ten arrests. Protestors have claimed that their group has been infiltrated by PA officials and undercover security forces who are attempting to carry out slander campaigns against the protesters. Hamas has expressed support for these demonstrations and called on Palestinians in Gaza and West Bank to continue demonstrating. At each of the protests, participants have claimed the PA, not just Abbas, is collaborating with the “Israeli oppression” to punish residents in Gaza. Some on social media have compared the Palestinian Authority’s suppression of Wednesday’s protest to Israeli practices. Israeli security forces do cooperate with the PA to prevent attacks in the West Bank, though Palestinians don’t recognize the benefit of the added safety. The Palestinian public reports high levels of corruption and abuse at the hands of PA security, breeding high levels of mistrust in their forces. By equating the PA with Israel, protestors are encouraging new leadership that will be more explicitly anti-Israel, such as Hamas. As calls increase for Abbas to step down – 64% of Palestinians want him to resign – he must also weigh his deteriorating health. He was recently hospitalized for the third time in a month in yet another health scare. He has taken steps to prepare for new leadership, changing the protocols to block Hamas from fully taking over the Palestinian Authority and ensuring his successor will be someone he trusts. Abbas has already refused to further work with the U.S. to negotiate a peaceful resolution to the Israeli-Palestinian conflict and the U.S. appears ready to work with a replacement, though U.S. officials are continuing to work toward reaching a peace deal. Later this summer, President Donald Trump is expected to release a peace plan. Abbas has already declared that he won’t agree to it because he does not view the U.S. as objective mediators in the dispute. According to chief Palestinian negotiator, Saeb Erekat, the U.S. killed any possibility for peace when the U.S. moved its embassy to Jerusalem, the city claimed by both Israelis and Palestinians to be their true capital. U.S. Envoy for the Middle East is also quoted as saying the Palestinians need not consent to the deal and that the U.S. will implement the plan rather than negotiate it. A series of recent public polls conducted by the Palestinian Center for Policy and Survey Research indicates the increasing popularity of Hamas in all Palestinian territories. Hamas leader Ismail Haniyah is favored in a hypothetical presidential race in all territories. In hypothetical parliamentary elections, the Fatah party would still win, although Hamas has been trending upward in popularity over the last year. Hamas has successfully organized mass protests against Israel in Gaza, and it seems support for them is spreading into PA-controlled territory in the West Bank. If the PA is unable to make significant reforms to its policies, it will spread discontent further into PA-controlled territory in the West Bank. If Hamas becomes the de facto leaders of both Gaza and the West Bank, U.S. ally Israel would suffer from an increase in attacks from multiple flanks. After Israel recently destroyed an underwater tunnel, it was revealed that Hamas’ military capabilities are becoming more refined and deadly. Although no invasions via this tunnel were reported, it demonstrates Hamas’ intent to creatively find new ways to attack Israel. While the Palestinian Authority has a history of refusing to negotiate with the U.S. and Israel for a permanent peace deal, they have generally assisted the Israelis in maintaining public order in the West Bank and preventing large-scale, Gaza-style protests from reaching PA-controlled territory. Hamas, on the other hand, has carried out lethal attacks on Israelis since its inception, and has no intention of slowing. Recent protests in Ramallah in the West Bank reveal that young, local Palestinians are growing tired of the leadership of the Palestinian Authority. Although the protesters didn’t openly express support for Hamas, it is clear they are losing faith in the PA, leaving the door open for Hamas to recruit more supporters in the West Bank. Despite the PA’s attempts to dismantle Hamas through sanctions, the popularity of Hamas has endured, and many Palestinians observing the PA’s response to West Bank protests may look to Hamas for new leadership. Throughout the day on Tuesday May 29th, 2018 and into the early morning hours of Wednesday. Terrorists from Hamas fired dozens of rockets and mortars at Israel. Israel responded with tank and airstrikes on more than 50 different targets throughout Gaza. The nearly 24hour cross-border exchange was the fiercest fighting since the 50-day war in the summer of 2014. Both sides calibrated their actions to avoid an all-out war. Palestinian Islamic Jihad also fired heavy barrages of mortar shells in retaliation for an Israeli strike killing three members on Sunday attempting to cross the border with Gaza during the “Great Return” protests organized by Hamas. The Israeli military struck dozens of sites in Gaza overnight including drone storage facilities, military compounds, and rocket and munition workshops across the Gaza Strip. Among the targets hit by Israel in Gaza in Tuesday was a tunnel that was built to attack Israel. Lt. Col. Jonathan Conricus said that it was the 10th tunnel discovered and destroyed by Israel since October. The attacks triggered dozens of rocket sirens in southern Israel and wounding five Israelis. Hamas and the Islamic Jihad have claimed responsibility for Tuesdays attacks. At least 25 incoming projectiles were intercepted by Israel’s Iron Dome air defense system, according to the Israeli Defense Forces (IDF). The Israeli military said that one mortar shell landed in a kindergarten shortly before it opened, wounding one person. After an intense night of fighting both sides have agreed to a ceasefire. A ceasefire agreement between Hamas and Israel appears to be holding following one of the worse days in violence in the Gaza Strip since the 2014 war. Hamas released a statement saying that they have agreed to return to the Egyptian brokered cease-fire agreement that ended the 2014 war. Israeli officials said that the government was not party to any new deals with Hamas and that it would take its cue from the terrorist groups and only respond to fire from Gaza. The last major war with Gaza, in 2014 was especially devastating, with over 2,000 Palestinians killed, including hundreds of civilians, and wide spread damage due to 50 days of fighting. Seventy-two people were killed on the Israeli side. Hamas said that the weekly protests were calls to break through the fence and return to homes that were lost 70 years ago during the war surrounding Israel’s establishment. Hamas and Israel are fierce enemies and have fought three different wars since Gaza was seized by Hamas. Israel unilaterally withdrew its military presence from Gaza in 2005. But after Hamas took power over the Gaza strip Israel imposed a land and sea blockage on the enclave. Hamas is the Palestinian branch of the Muslim Brotherhood, and ally of the Islamic Republic of Iran, which funds the group’s military. Israeli officials say many of the weapons fired during the conflict were manufactured in Iran and Iranian-made rockets were also a major factor in the 2014 conflict. Since 1997 Hamas has been on the US State Departments Foreign Terrorist Organizations (FTOs) list as a designated terrorist organization. March 17th an explosive detonated on the Israeli/Gaza border, with no casualties and minimal damage to the security fence separating Gaza and Israel. The Israeli Defense Forces responded with tank fire shelling a Hamas outpost just east of Gaza City, where one person was slightly injured. On March 18th, the Israeli air force destroyed an underground Hamas facility located in the Gaza strip and a separate tunnel which ran from southern Gaza into Israel. The tunnel was destroyed from within Israeli territory, using a compound developed for the purpose. According to the IDF Hamas was seeking to reconnect an older tunnel which was destroyed in 2014 to a new section of tunnel in southern Gaza. In 2014 Israel launched Operation Protective Edge which was a war between Israel and Gaza. It started due to three Israeli teenagers being kidnapped and killed by Hamas operatives in the West Bank. Israel launched a military operation to find the three boys and arrested hundreds of Hamas members. Hamas responded by launching rocket attacks out of Gaza. During the conflict Israel had placed a high priority on the tunnel threat when Hamas fighters infiltrated Israel killing 5 Israeli soldiers. The Israeli military said it did not know the scope of the tunnel system until troops were put in the area, that year Israel destroyed 32 tunnels. The tunnels were established to undermine Israeli control of borders to and from the Gaza strip. 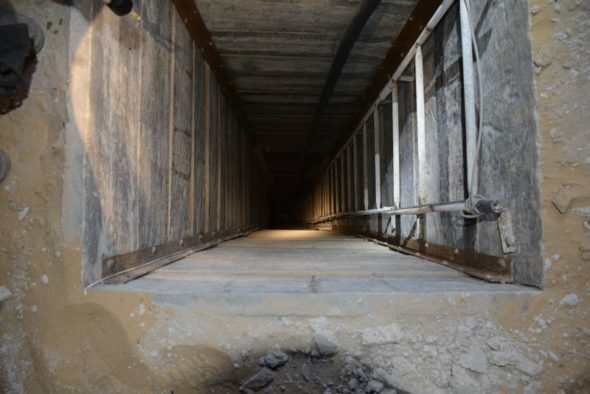 The tunnels ran from south Gaza into Egypt, with Hamas controlling tunnel access for a profit. Weapons, people, and cars were smuggled through the tunnels as well as Egyptian gasoline due to Israeli fuel being too expensive. Egypt’s prior President Mohammed Morsi and the Muslim Brotherhood were sympathetic towards Hamas. But after Morsi was ousted in 2013 and the beginning of a Muslim Brotherhood-backed insurgency against now Egyptian President Abdel Fattah el-Sisi, the Egyptian Army has targeted and destroyed many cross-border smuggling tunnels. The Islamic State (IS) is currently fighting the Egyptian military in the Sinai Peninsula and much of their success has come from trade with Hamas through the tunnel system. The IS smuggled weapons into Gaza and Hamas helped train IS fighters. But in early 2018 IS declared war on Hamas, publicly ending their relationship. In January of 2018 Israel unveiled plans to have a 40-mile-long underground wall built around Gaza. Israeli military officials said this wall will stop Hamas from launching attacks from the tunnels into southern Israel. The wall is expected to take two years to build and cost 500 million euros. 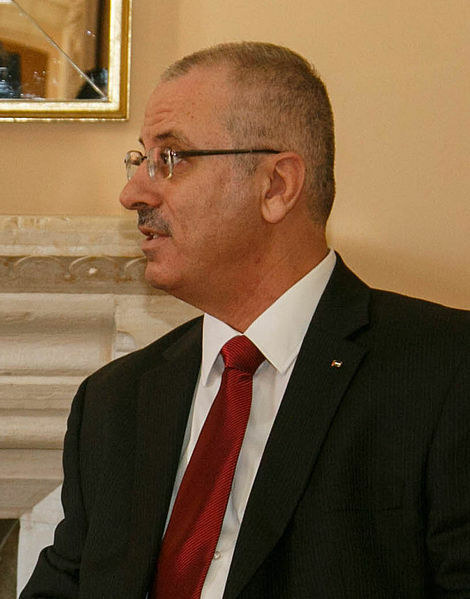 On March 13th the Palestinian Authority’s (PA) Prime Minister Rami Hamdallah survived an assassination attempt. His convoy was just outside of the northern Gaza town of Beit Hanoun when a roadside explosive was detonated. Hamdallah was not hurt, but 6 security guards were wounded. Three vehicles were damaged due to the explosion while debris scattered dozens of yards away and left a crater by the road. Hamas said in a statement that the targeting of the motorcade was “part of attempts to damage the security of Gaza and deal a blow to efforts to finalize reconciliation.” Shortly after the explosion, Hamdallah gave a speech at an internationally-funded wastewater treatment plant and ensured that he would continue to pursue Palestinian unity. Fatah and Hamas have been at odds since 2006 when Hamas had defeated the Fatah party during the Palestinian elections in the Gaza strip. Since then, Hamas has controlled the Gaza strip while the PA control parts of the West Bank. The two sides have fundamentally different views regarding Israel: Hamas doesn’t believe the state should exist while Fatah believes it should and attempts political solutions with it instead. The Fatah and Hamas have gone through several attempts to reconcile in the last decade. In 2011 both sides agreed to an Egyptian brokered peace deal but could not agree on who to make the interim prime minister of the unity government. Again, in 2012, both sides had agreed to a reconciliation deal but did not follow through on plans to end hostilities. In November of 2017, for the first time in a decade, Hamas handed over control of 5 Gaza border crossings to the Fatah. Fatah spokesperson Osama Qawasmeh said this move would make the lives of the Palestinians in Gaza “much easier”. He noted that products would move much faster across the border which would make import and export trade much easier. This is positive news for the residents of Gaza who have seen their economy deteriorate over the last decade and whose health system is facing an imminent collapse. This latest assassination attempt against Rami Hamdallah will only slow down the chance of a reconciliations deal being made anytime in the near future between Hamas and the Fatah. On February 9th the Egyptian military launched an operation against the Islamic State (IS) focused on defeating them in the Sinai peninsula. Egypt’s President Abdel Fattah al-Sisi ordered the armed forces in November of 2017 to defeat the IS-Sinai affiliate within three months after an attack on a mosque in north Sinai killed 300 people. The campaign covers north and central Sinai as well as the parts of the Nile Delta and the western desert that runs along the border with Libya, authorities say that Islamic State fighters as well as smugglers use this route into the country. The official spokesperson of the armed forces Tamer al-Refai announced on February 15th that after the first six days of the operation 53 IS members have been killed. While another 680 “criminal elements” have been arrested. Al-Refai added that 378 hideouts used for medical, arms, and explosive materials had been destroyed as well as 177 explosive devices have been neutralized. The IS-Sinai has had substantial success in this region of Egypt for the last few years for several reasons. IS-Sinai developed out of Ansar Bait al-Maqdis (ABM) after the group pledged allegiance to the IS and Abu Bakr al-Baghdadi in 2014. There are also thought to be at least four al Qaeda-aligned groups active in the area. The goal of these groups in Sinai is to create a breakaway state that adheres to the same rules ISIL imposed on people under their control. 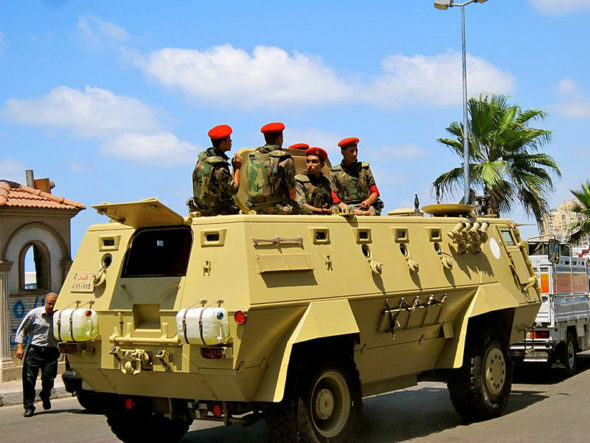 The Egyptian military has had trouble in the past controlling these groups in Sinai in part because of the transient nature of the flow of people and goods in the area. The IS has also had success in the region due to cooperation with Hamas through the underground tunnels that connect the Gaza Strip to Sinai. The IS helps smuggle weapons into the Gaza Strip and Hamas helps train IS fighters. But in early 2018 the IS reportedly declared war on Hamas apparently ending their relationship. The IS claims it stopped supporting Hamas because Hamas receives support from Iran. Current Secretary of State Rex Tillerson recently visited Egypt on February 12th and spoke with Egyptian Foreign Minister Sameh Shoukry with counterterrorism being one of the primary focuses. Tillerson said on Monday that Washington stands with Egypt on its fight against the IS, before briefly touching upon the upcoming Egyptian election in March. Tillerson stated that the US supports a credible and transparent election in Egypt. The President of Egypt Abdel Fattah al-Sisi is running against a single challenger during the March 26-28th election, though he is expected to win comfortably.